White, Yellow or Rose Gold? All That Glitters Is Not Gold, But Even When It Is, You Have Choices to Make! When you’re buying an engagement or wedding ring, or another piece for a special occasion, your main focus is on that jewel that tops the setting. But the gold setting is also important and there are differences. You’re usually offered three gold options – white, rose and yellow. What’s the difference? How should you choose? While similar, they differ primarily in their color and composition. 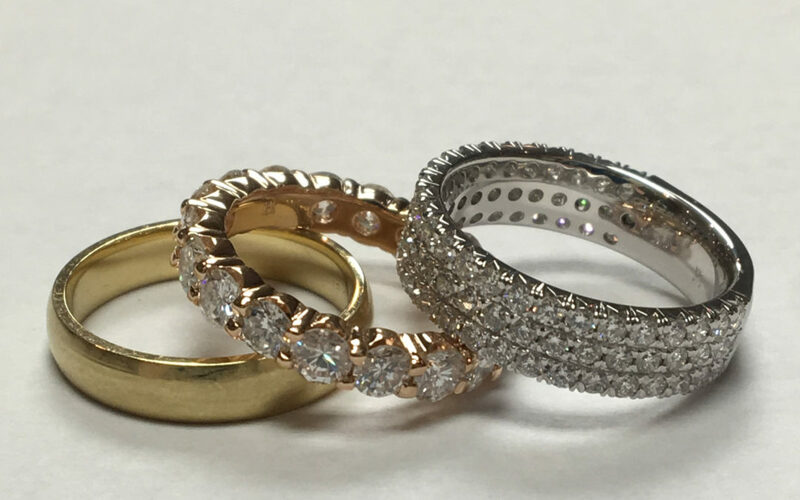 Selecting the type of gold for your ring should be based on personal preference, although composition and price should be part of your decision-making process. White gold is an alloy — or mixture — of pure gold and white metals such as nickel, silver and palladium, usually with a rhodium coating. Currently more popular than yellow gold. Alloyed with stronger metals than yellow gold, making it more durable and scratch-resistant. Complements white diamonds better than yellow gold—according to some. Complements fair or rosy skin tones. Needs to be dipped every few years to retain its color and luster—and to replace the rhodium plating. This process is inexpensive and many jewelers offer the service for free. Often has nickel mixed with it, which causes allergic reactions for some. In other words, white gold is not hypoallergenic unless mixed with alloy metals other than nickel. A higher karat amount means a purer gold content, but it also means the metal is less durable. That’s why most engagement and wedding rings are mounted in 14K or 18K gold. Historically the most popular metal used for wedding and engagement bands, and thus appropriate for vintage style settings. The purest color of all the golds. The easiest to maintain out of all three gold color types. The most flexible and, therefore, easiest for jewelers to manipulate. Should be polished and cleaned regularly. Is subject to dents and scratches. 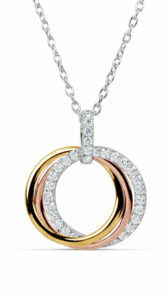 Rose gold refers to and encompasses the whole family of red, rose and pink gold shades. Pure gold is alloyed with copper to produce the rose color. The more copper used, the redder the gold appears. A common mix—or alloy—for rose gold is 75% gold and 25% copper by mass (18K). 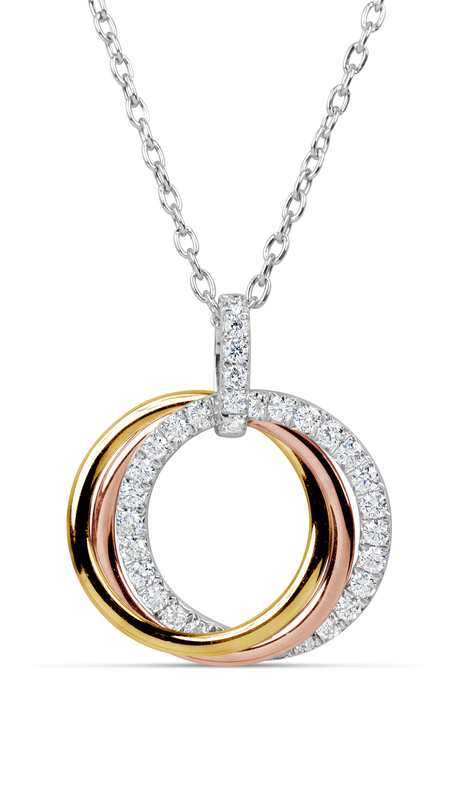 Like white gold, since rose gold is an alloy, “pure rose gold” doesn’t actually exist. In style for both men’s and women’s rings. Considered by many to be the most romantic metal due to its pinkish-red color. Often more affordable than other metals because copper—the alloy used to make rose gold—costs less. Very durable due to the strength of copper—making rose gold tougher than yellow or white gold. A complement to all skin tones. Can cause allergic reactions in some and is not a hypoallergenic metal. Is not as widely available as yellow and white gold, despite being in style. While the metal you choose for your diamond ring is largely based on personal preference and style, it is helpful to consider the main differences in composition and price. It’s Time For Us To Add Watches! Twelve Months, But 17 Birthstones? What’s Up With That?